Lok Sabha election: BJP candidate from Mathura, Hema Malini, is the fourth richest candidate in phase 2 in UP with the total assets of over Rs 250 crore. The phase 2 of polls in Western UP is crucial for the Narendra Modi-led BJP, which won all of these seats in the 2014 Lok Sabha elections. Lok Sabha election 2019: The second phase of 2019 Lok Sabha polls on 95 parliamentary constituencies will be held across 13 states on Thursday. 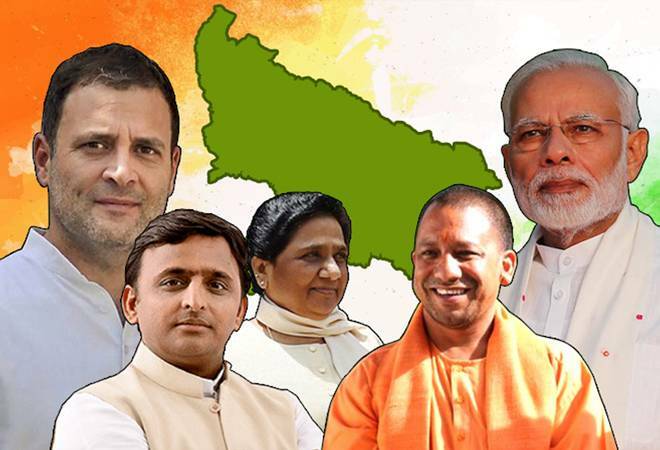 Among all the states going to polls the second phase, Uttar Pradesh, which sends as many as 80 MPs to parliament, will see election for a total of eight seats this time. Polling on April 18 will seal the future of a total of 85 candidates contesting on different party symbols in the electronic voting machines. Of total 85 candidates in the poll fray in UP, 19 of them have declared criminal cases lodged against them (about 23 per cent) -- as per their affidavits details -- while 14 have declared serious criminal cases, as per election watchdog ADR. Of all the candidates contesting polls, a total of 34 (about 41 per cent) are crorepatis. BJP candidate from Mathura, Hema Malini, is the fourth richest candidate in phase 2 with the total assets of over Rs 250 crore. The top three candidates with highest assets are Congress' Vasanthkumar from Kanniyakumari (Tamil Nadu), assets 417 crore; Uday Singh from Purnia in Bihar (assets Rs 341 crore); and DK Suresh from Bangalore Rural in Karnataka (assets 338 crore). Other BJP candidate from Amroha, in UP, Kanwar Singh Tanwar, has assets worth over 182 crore. Among those with lowest assets, Ambedkari Hansuram Ambedkari, who's fighting on IND ticket from Agra, has declared total assets worth Rs 1,200. The phase 2 of polls in Western UP is crucial for the Narendra Modi-led BJP, which won all of these seats in the 2014 Lok Sabha elections. Riding on the Modi wave, the BJP, along with its ally Apna Dal, had won on as many as 73 seats of the total 80 Lok Sabha seats. The saffron party had also won all the seats that went to polls in phase 1, including Kairana, Muzaffarnagar, Saharanpur, Bijnor, Meerut, Bhagpat, Gautam Buddh Nagar, and Ghaziabad, in 2014. The state is primarily seeing a triangular contest between the BJP, Congress and the SP-BSP. The constituencies going to polls in the second phase of the Lok Sabha election are Agra, Aligarh, Amroha, Bulandshahr, Fatehpur Sikri, Hathras, Mathura and Nagina. While caste and communal polarisation play a crucial role in the General Elections in UP, major issues of jobs, agri stress could swing votes in opposition parties' favour. In UP, Akhilesh Yadav's SP is fighting election in 37 seats while Mayawati's BSP has fielded its candidates on 38 seats. Their ally Ajit Singh's Rashtriya Lok Dal, is fighting on three seats. Both SP and BSP will this time try to corner BJP by consolidating Yadav-Muslim and Dalit votes. The Congress, while part of Mahagathbandan, is fighting alone in the state. Some high profile seats going for the poll in the phase two are Fatehpur Sikri, Agra, Mathura, Aligarh and Nagina. The battle for a total of 543 seats had started with elections in 91 constituencies across 20 states on April 11. The final vote count will be done May 23.